In early July Doug is going to be a guest speaker at the Science Factory in Eugene. 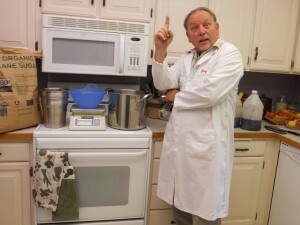 The Science Factory runs a series of summer camps for local kids and one of them is called Food Detectives (for details see http://www.sciencefactory.org/food-detectives). They were looking for a real food scientist and ended up with Doug. Everybody wins!